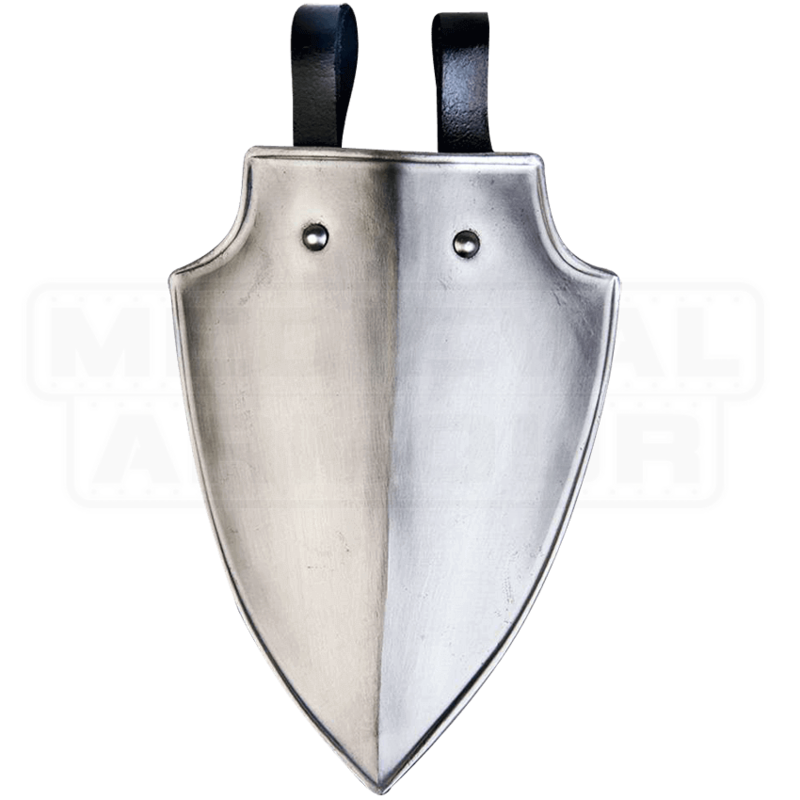 Add extra protection to any historic outfit with the Steel Markward Shield Tasset. 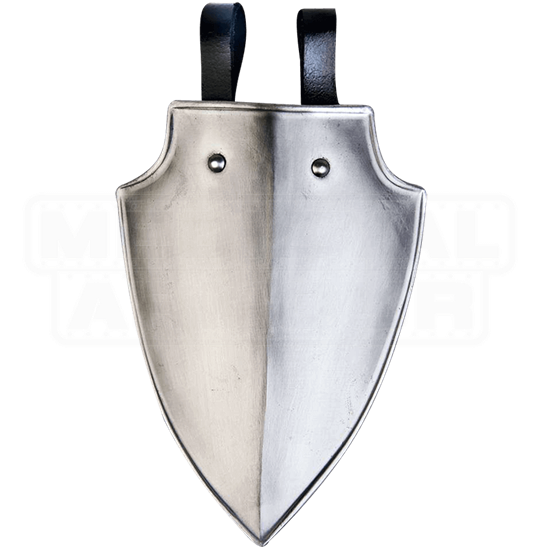 The sloped sides at the top of this 18 gauge steel armour piece add subtle elegance to its versatile design, easily paired with most LARP and medieval looks. Easily attach it to belts with the two sturdy leather loops fixed to the back of this functional plate armour. For the extra crafty, it can also serve as a great base for self-customization, such as decorating with personal heraldry.